New York Theatre Ballet (NYTB) presents Keith Michael's GOOSE! from March 7-8, 2015 as part of the Company's Once Upon A Ballet series for children at Florence Gould Hall, 55 East 59th Street, NYC. 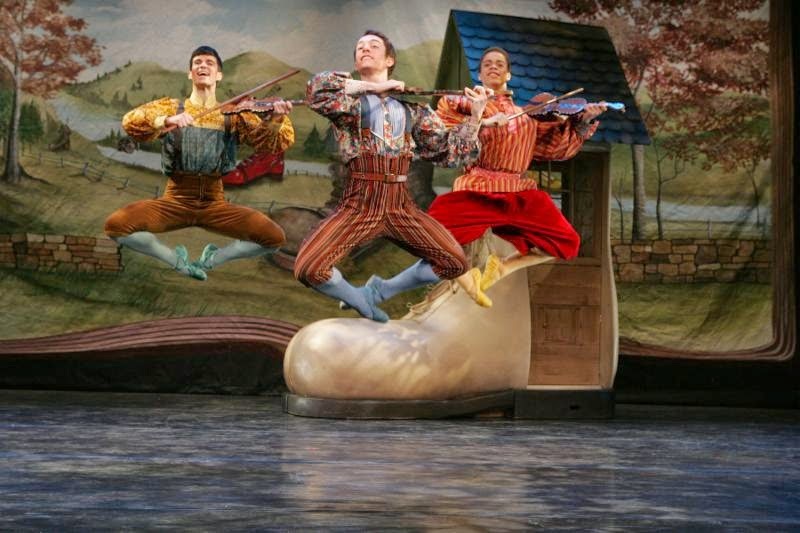 Kids and adults alike will love the antics of their favorite nursey rhyme characters - Jack and Jill, Little Bo Peep, Little Boy Blue, Little Miss Muffet, and a host of others kicking up their heels in Keith Michael's clever, fun-filled ballet set to Vladimir Shinov's original score. Performances: Saturday and Sunday at 11am, 1pm and 3:30pm. Tickets are $35 for children, $40 for adults. Single tickets are available through ticketmaster.com, and subscriptions can be purchased by submitting an order form to admin@nytb.org. For more information, visit http://www.nytb.org/calendar-and-tickets/view/Keith-Michaels-Goose/. This place doesn’t have any 'i'm too cool and busy for you' wait staff. As per me, everyone at this gallery space for rent NYC is nice, friendly, and helpful and they really seem to like their jobs there and that is important to me. We had an awesome experience here.